Hi! 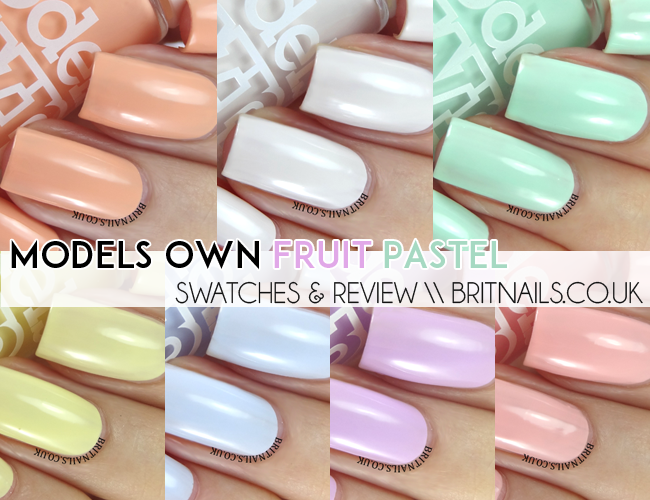 Today I have the whole Models Own Fruit Pastel collection to show you, including the two brand new shades, Peach Melba and Coconut Cream! This collection is made up of creamy pale pastels, and what's more, they're scented! 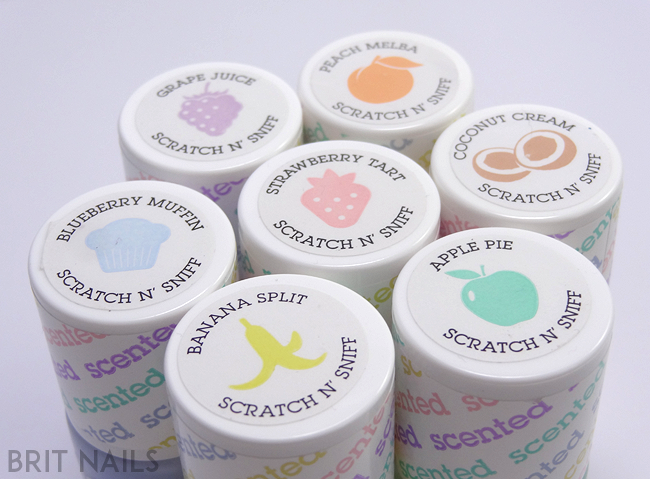 Each shade has a fruity scent to match the colour, and they come complete with super cute, retro scratch and sniff stickers on the lids! The formula is pretty much the same across the shades, a little sheer as pastels tend to be but easy to build up. You could maybe get away with 2 thick coats with most, but I've used 3 thinner coats with each plus top coat to give it a more flawless finish. If you ever have a less than perfect finish, always add a top coat, it's saved me a good few times! Banana Split is a pale yellow and smells just like the little banana sweets in Runts. Remember Runts!? This one was a bit streaky, but adding a top coat evened out the finish. This is a great little collection, it's good to have a range of go-to pastels! I like that Models Own have kept it updated by adding two new shades. The scents also last at least a day or two, I wore Apple Pie for quite a while and could still smell the apple scent when it was time to remove it. 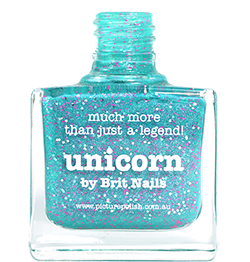 These are also great for gradient nail art (over a white base) they blend together so well! Available now from the Models Own website and Models Own Bottleshops nationwide, priced £4.99 each. Well I now need to add coconut cream, strawberry tart, banana split and apple pie to my collection! Gorgeous shades! I love pastels! I'm not much into pastels, but I guess my favourite will be the banana one and Apple Pie. The cuteness of these polishes, I wouldn't know which one to choose. Peach Melba and Apple Pie are gorgeous. I'm actually really loving coconut cream!